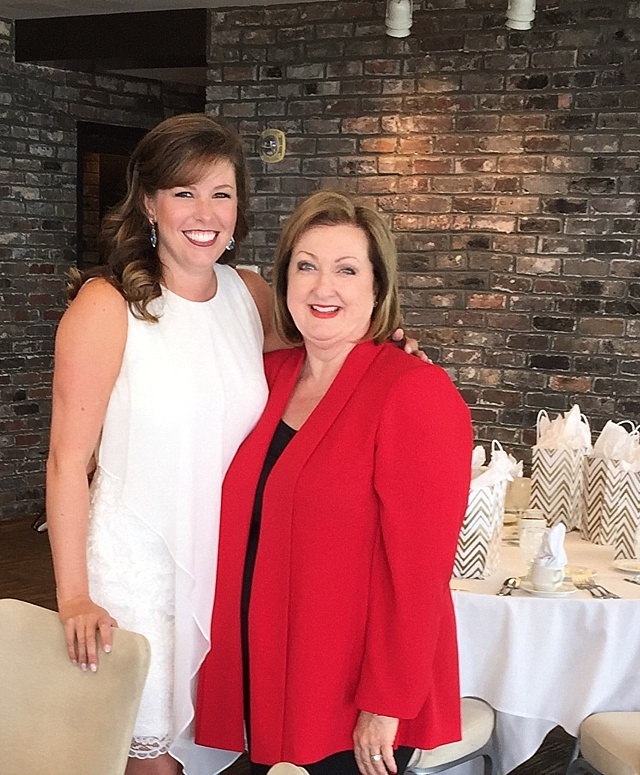 When my dear friend Laura Boyd told me her daughter Katie was engaged, I immediately signed up to host the bridal luncheon. I had watched Katie grown up and I wanted something very special for the luncheon. I wanted a unique keepsake for Katie—something she could keep for her new home. I talked with Kelly Billingsley at NDI Designs about a permanent centerpiece that Katie could use in her home for years to come. Kelly challenged her creative staff to create something that a young lady would use and enjoy—something a little more modern. When my package arrived and I opened the box, inside was an amazing glass bowl filled with exceptional hydrangeas. They looked so real, I could not believe they were silk. But that’s what I love about NDI, all the flowers look so real, most people think they are freshly cut. When the day came and the table was set, the centerpiece garnered rave reviews from all who attended. Katie was so thrilled it was hers to take to her new home. At her bridal luncheon, she presented her bridesmaids with a gift and a monogramed robe, which I thought was brilliant. You all know my thoughts on monograms! 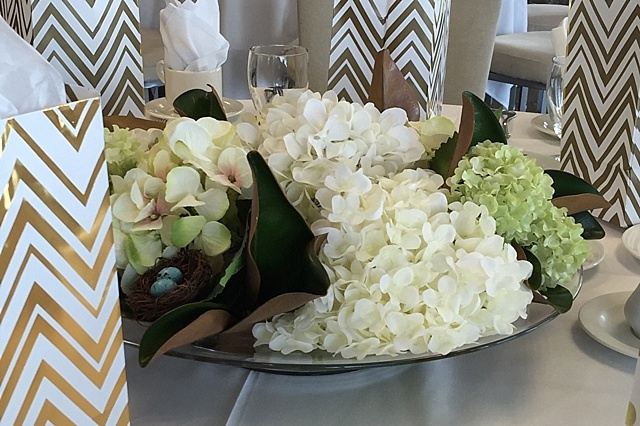 She had a gift at each bridesmaid’s seat and the gold and white was the perfect addition to my table décor. 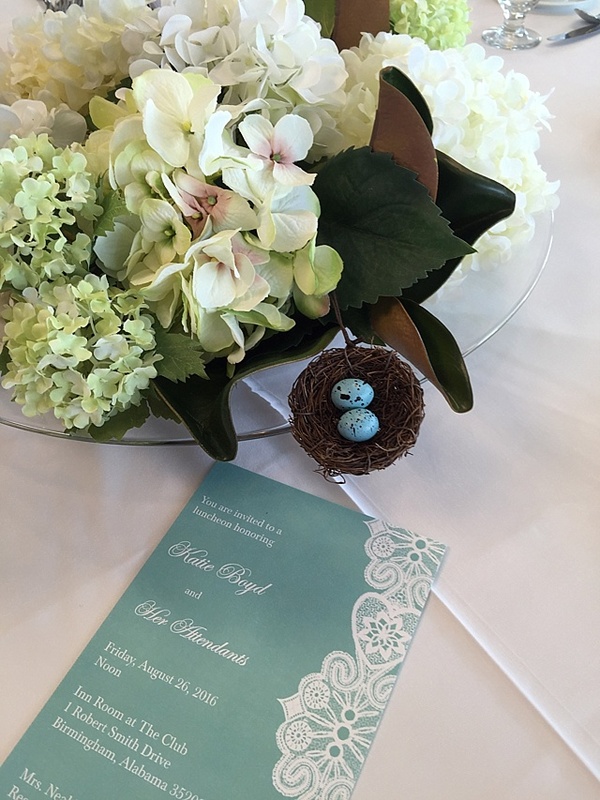 There was one special addition to the centerpiece that holds significance to NDI’s brand, a bird’s nest. In fact, I color matched the wonderful tiny eggs to my invitations from Expressionery. I selected the turquoise background color with white writing, customized them online, and you can see how perfectly they matched. 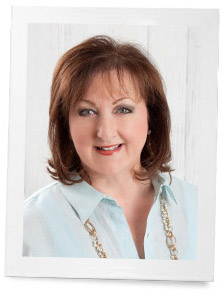 Kelly told me that owner/CEO of NDI, Carol Gordy’s husband, Joe Gordy, was head of Product Development + Design at NDI until his retirement in 2006. Joe designed a new Ficus Tree at NDI’s original workshop in Evergreen, Alabama, which at the time, featured oversized doors that remained open during business hours to let in natural light. The newly designed tree remained in the workshop for over a week before being moved to the NDI studio for photography. When the photographer was setting up the tree, he noticed a bird’s nest between two of the branches in the tree! From that moment on, Carol and Joe decided the birds nest would be the perfect trademark for NDI designs, because if they were good enough to fool Mother Nature, then they were good enough to fool anyone! If you are interested in purchasing something from NDI, we remind you to always look for the natural decoration, which authenticates all NDI designs. When you visit their website and see the amazing flowers and greenery, you will understand why this company has been creating stunning arrangements for over 50 years. The bird’s nest is just an extra little perk for me! Miss Katie, you have a special arrangement for your new home that was made right here in your home state by an incredible company, NDI. I worked with Mr. Joe Gordy for several years, that was long time ago when he used to travel in China. His designs and works were amazing and always with “WOW” factor. He is an excellent designer. This arrangement is absolutely beautiful! A great idea for all of us . Thank you for showing us! I will share it with my daughters!! Love your idea of the centerpiece for the bride! One thing I do for the bride is buy a crystal vase and have the arrangement made for the shower and for her to keep! Then I send a note to the groom saying it’s his job to keep it filled with flowers for his wife! Thank you, Phyllis, for another story about something beautiful to enhance our homes and to give as gifts. We all love fresh flowers, but when we long for flowers that last, we think of NDI. Your centerpiece fooled me and set me thinking of hydrangeas and magnolias and their shiny leaves, two of my favorites. I also love camellia leaves and used to wear them with camellias in my hair and continued to wear the leaves after their blossoms had fallen. What a beautiful centerpiece and to have it as a fond memory of such a special occasion. 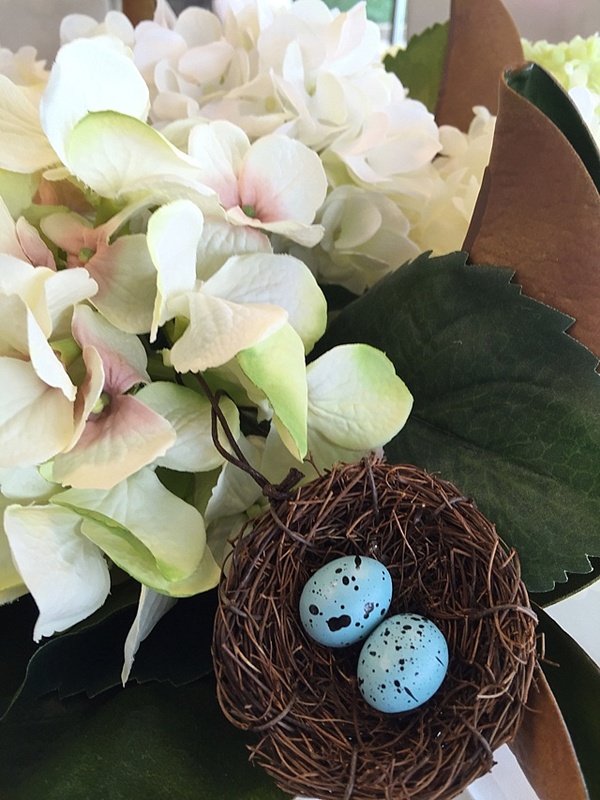 Phyllis, you did it again gal…flowers, birds and nests a theme they can also use in their decorating throughout their home as they begin a most special life together! Lovely idea, arrangement & presentation! What a beautiful centerpiece!… Great idea, but only if they look like the one you gave to that lovely young bride… I would have loved to receive that centerpiece at my bridal shower! Just beautiful and what a wonderful idea Phyllis! Just lovely. I’m familiar with NDI and their exceptional quality, and the birds nest, of course. Wonderful to find out the back story. What a wonderful post! At one time in my career I created custom florals, and NDI flowers were ( and are) the cream of the crop, they are so life like. Their arrangements are stunning and do Mother Nature proud. What a brilliant idea to have a centerpiece this beautiful young bride can use in her home, Phyllis.